Photo of: East Coast of Ireland: Meath: Newgrange. 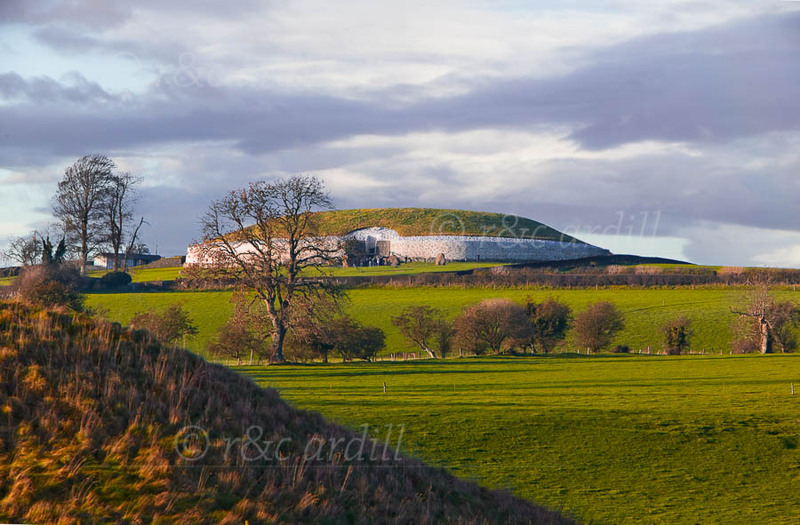 An evening view of the great Newgrange Neolithic burial mound. In the foreground is a smaller burial mound. The Newgrange, Knowth, Dowth megalithic monuments have been designated a World Heritage site.